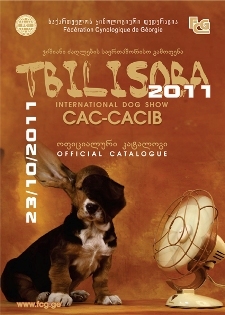 The International All Breeds Dog Show CAC-CACIB "Tbilisoba 2011" took place in Tbilisi, Georgia on 23 October. The Show was organized by the Fédération Cynologique de Géorgie (FCG). Around 180 dog from different countries were registered for the show. The ring judgment was conducted by the International Experts Mr. Espen Engh (Norway) and Mr. Georgi Hristozov (Bulgaria). The show was successful.